Our bond with chocolate involves an inevitable passion for the holidays that makes it, more than any other time of year, the undisputed protagonist. 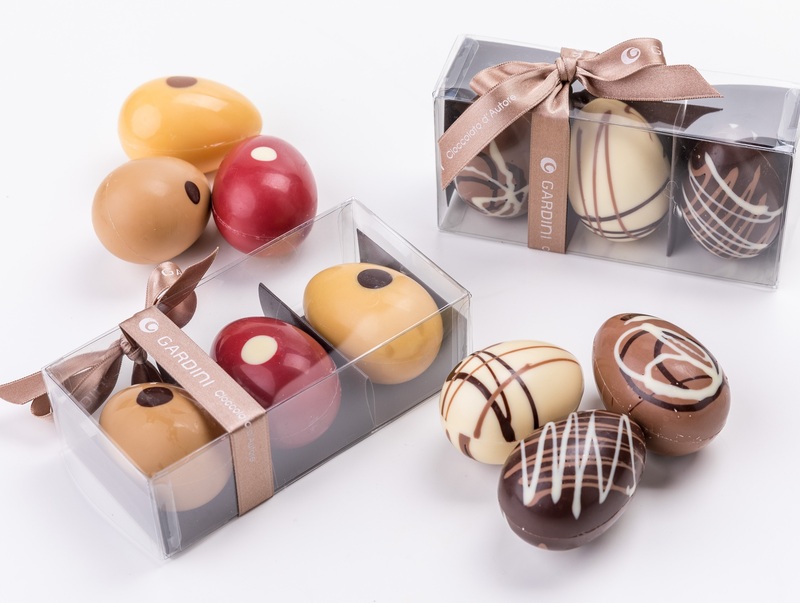 During Easter, the craftsmanship of our products remains unchanged and, with the same chocolate that has made us unmistakable for quality, we create eggs of various sizes and types, which represent solutions for any type of need or taste. Every single piece is the result of meticulous craftsmanship that distinguishes us, and is rigorously made and packaged by hand by our girls. When the “food of the Gods” plays the central role in the tradition of our table, we at Gardini make sure that creativity and quality of our artisan chocolate are even more special than usual. Vuoi scaricare il nostro catalogo di Pasqua?